Here are some highlights for pertinent real estate news to answer some of the commonly asked questions as the end of 2012 quickly approaches. If you are facing foreclosure on your Fannie Mae or Freddie Mac-backed home, then you are more than likely wondering whether or not you will still have your home for the holiday season. Monday Fannie Mae and Freddie Mac announced that they will suspend foreclosures from December 17 (Fannie Mae) or December 19 (Freddie Mac) until January 2 – helping struggling homeowners stay in their homes throughout the holiday season. However, it is essential to understand that Fannie Mae and Freddie Mac will continue to move forward with everything except evictions; therefore, individuals may still receive default notices throughout the holiday season. Although this only seems like a small act of kindness, these extra weeks could actually provide enough time for some struggling homeowners to obtain foreclosure assistance or come up with the money to remove their home from the foreclosure process. On the other hand, those with an interest in real estate market progress are more than likely wondering what the real estate market will look like in 2013, especially with all of the current fiscal cliff talks. Will the market continue to make progress toward recovery? Or will it tumble yet again? Although the future is always uncertain, recent reports indicate that throughout 2013 the real estate market will continue to strengthen. Home prices are on the rise with an increase of 6.3% from October 2011 to October 2012 – the largest increase seen since 2006. 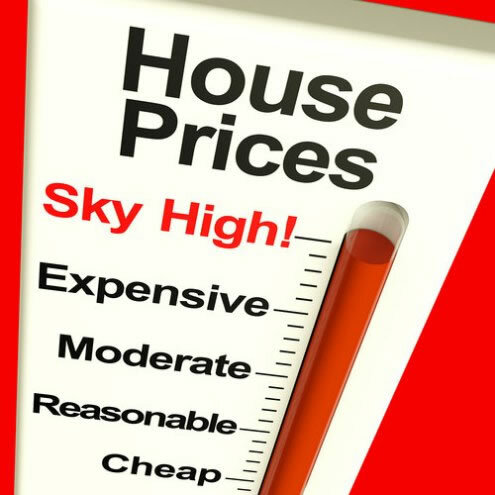 Furthermore, this number includes the prices of distressed homes (such as foreclosures and short sales). As home prices continue to rise throughout much of the country and the real estate market makes progress toward recovery, we will see strong local real estate markets and therefore stronger local economies. Overall, an improving real estate market is great news for everyone from homeowners to those closely monitoring the national economy. Unless something seriously unexpected happens, we can expect to see real estate market progress throughout 2013 as the housing market continues to rebound. In conclusion, although things are still difficult for many throughout the country – especially those in judicial foreclosure states – there is light at the end of the tunnel. Real estate market progress is underway.